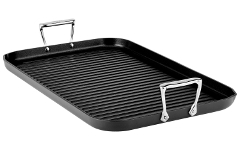 All-Clad grill pans feature raised ridges that sear meat and provide an outdoor grilled appearance. Available in single and double burner sizes, these pans have a nonstick surface that makes it possible to cook with little or no oil, making cleanup a snap. 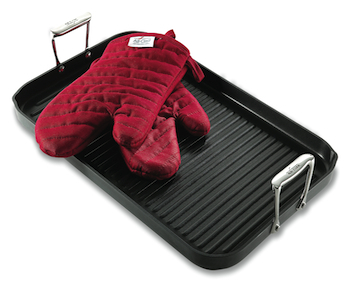 Pick up an All-Clad grille pan today!